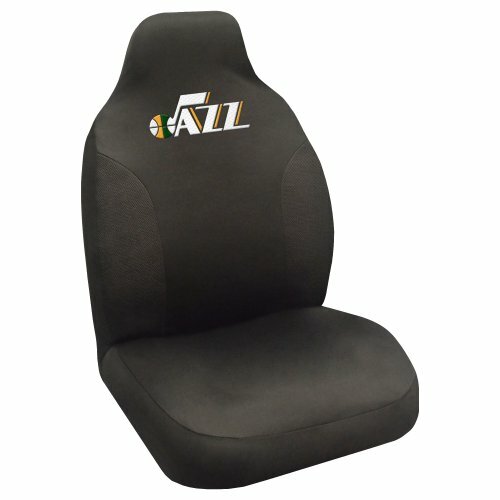 FANMATS NBA Utah Jazz Seat Cover protects your seat and makes a strong statement for your team pride. Sold individually - you will know immediately which family member has the most team spirit. Your team's logo is embroidered on the front of the seat cover. Crafted with a comfortable material, the mesh side panels lend style as well as breathability. Stay cool in the summer and warm in the winter. The stretchy material and under seat hooks ensure a nice fit on most of all the vehicle seats. Truly, the ultimate accessory for the ultimate fan. Fanmats NBA Los Angeles Lakers Head Rest Cover 10"x13"
Fanmats 20324 NBA - Golden State Warriors Seat Cover, Team Color, 20"x48"